Older homes and commercial facilities may still have floor furnaces. These older furnaces often require additional care, because their design can allow vents to collect dirt, hair and other debris, posing environmental and fore safety risks. It can be challenging to finding a heating company that understands problems associated with floor furnaces, but the highly trained technicians at Tustin Plumbing, Heating & Air Conditioning are fully familiar with repairing and maintaining floor furnaces. Contact Tustin Plumbing, Heating & Air Conditioning today to schedule an inspection of your floor furnace, and to set up a regular maintenance plan to keep it in top working condition. 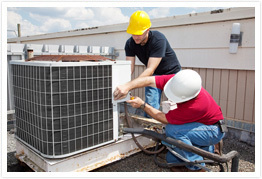 We provide maintenance and repair of floor furnaces throughout Orange County.